On March 14th we will be meeting Mr. Ulysses Moore for the first time. As we conduct research for our Great Migration Project we will be heavily relying on Mr. Moore to provide an in-depth look at his migration story from begging to the end. Therefore, it is essential that we be sure to make Mr. Moore feel comfortable indulging this kind of information to us. We will begin by first introducing ourselves to Mr. Moore and telling him some information about ourselves, such as where we are from, what we are studying, and a basic general history of our lives. Since, Mr Moore will be telling us so much about his life, we feel he should be given a glimpse into our own as a sign of trust and friendship. Hopefully, this will make him feel more comfortable during our interview. Then, we will explain the Great Migration Project to Mr. Moore so that he will fully understand the purpose of this assignment. Then we will explain why we feel his story is crucial. We will explain to Mr. Moore that his story is timeless and will give immense personal insight into a major event in American History. We will explain that Mr. Moore will be able to offer our viewers a human side to this event, a side that history books cannot express. Upon our initial meeting we will explain to Mr. Moore that since we want to capture his story from beginning to end the interview will be conducted and filmed over the course of three interviewing sessions. We will also provided him with a list of topics we hope to discuss with him each week. This way Mr. Moore will be given ample amount of time to think about each topic prior to the set interviews. Questions will include: Can you tell us where in Africa your family originated from? Where in the South did you live? What type of community was it? What are the first memories you have of your mother and father? What were some highlights of your childhood? What was your relationship with your parents and siblings like? What were some of the difficulties growing up in the South? Do you remain close to any childhood friends? How did slavery affect your relationship with your family and community? What are some of your fondest childhood memories and what made them so special? March 28th: Events Leading up to the Move, Hopes and Expectations for Life in the North, Reality of Life in the North. Questions will include: When did you and your family first start to explore the idea of leaving the South? Could you explain to us the series of events which caused you and your family to reach a decision? Was there one particular incident that swayed your decision? Did your family stay together, or did they move to various locations? 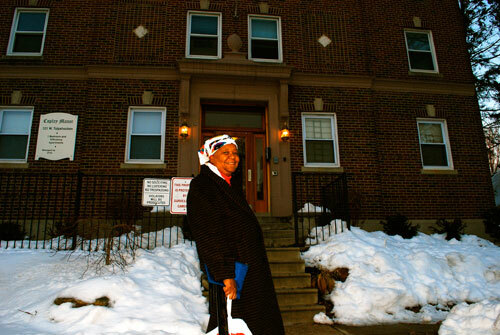 Were there other African-American families in your community who decided to leave? What were you hoping to get out of life in the North? What did you expect it to be like? Were you scared/excited/anxious? Were you welcomed? Was Philadelphia your primary destination? Why or why not? What were your parents’ occupations? What was your first job in Philadelphia and how long did you work there? April 4th: Reflections on the Migration and how it has shaped Society Today. Questions will include: Do you have any regrets about leaving the South? What do you miss the most? Are you in contact with any neighbors, relatives, or close friends from the South? Have you returned? If not, would you return? How has Philadelphia changed since the time you first moved here? Has it changed for the better or the worse? What is your favorite aspect of Philadelphia? If you could change anything about your neighborhood, what would it be? We hope that these questions will allow Mr. Moore to reflect on his story and provide compelling information. We will be sure to speak as loudly and clearly as possible during our initial meetings and interviewing sessions. While our intent is for Mr. Moore to answer our primary questions, we will patiently wait out any digressions and tangents in our conversation (they may be of great benefit). We want to be sure that Mr. Moore will be comfortable and not be placed in a position where he will constantly have to ask us to repeat the questions. During our interviewing sessions Claire will be acting at the main interviewer and Kevin will shoot the video and take still photography. I’ve been attending La Salle University for almost three years, but I never took the time to become acquainted with the surrounding neighborhood—until now. There’s a predominantly negative stigma associated with La Salle’s neighborhood, but that’s not to say that Germantown and West Oak Lane have lost all hope. As I roamed the streets of Germantown, I asked a few people on the street what they thought was the most redeeming, hopeful quality of Germantown. Though a majority were initially stumped, they all were able to name a few of the many areas in Germantown that help hold the neighborhood together as it continues on, furthering its already storied history. 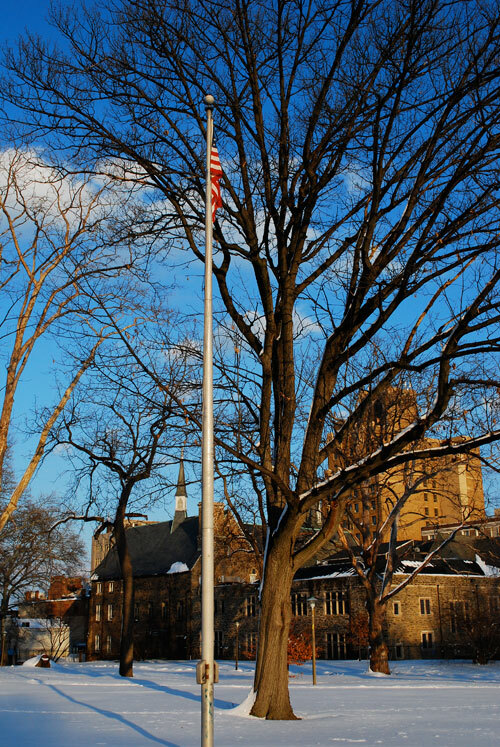 Vernon Park, situated between Germantown Ave. and Greene St., showed signs of life despite the recent snowfall. A tutoring center, though closed on a Sunday, is exactly the sort of establishment that Germantown needs. Education is one of the most important things in determining the future of Germantown. 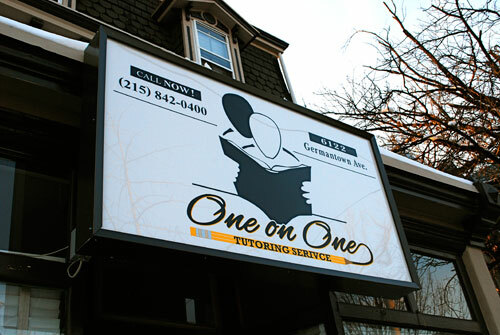 Tutoring Center on Germantown Ave. I spoke with 64-year-old Marcia Jenkins, a local resident, who took issue with the number of addiction centers in the Germantown/Chelten area, though she did find the ethnically and religiously diverse nature of Germantown to be uplifting.